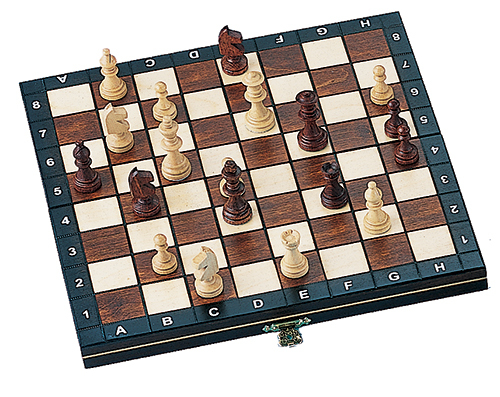 This chess set has a magnetic board an pieces making it a perfect travel companion. The board folds in half to form a case to store the handcarved pieces. Dimensions: 10-1/2 in. x 5-1/2 in. x 1-1/2 in.